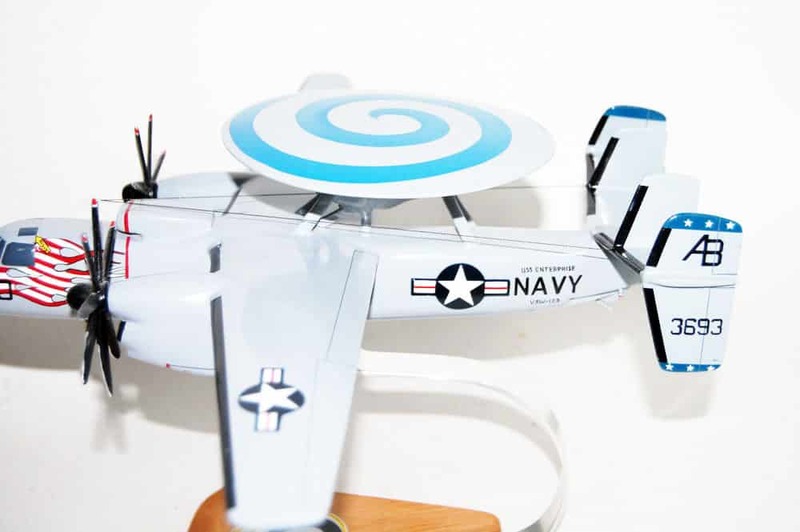 Fly with the VAW-123 Screwtops off the USS Enterprise in this hand craft E-2C model. Each model is carved from wood and hand painted to provide a unique piece you’ll love. 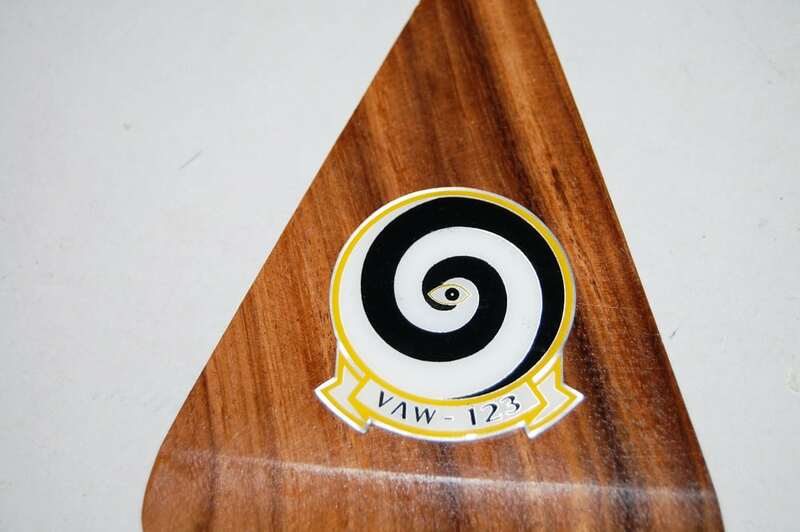 The history of VAW-123 begins in 1945 with the commissioning of Composite Squadron Twelve (VC-12), redesignated Carrier Airborne Early Warning Squadron Twelve (VAW-12), in 1956. 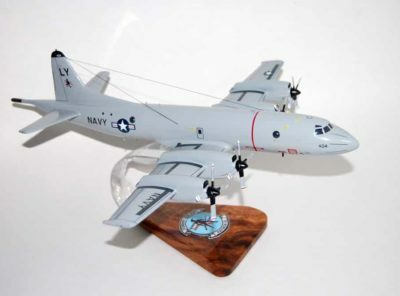 On 1 April 1967, VAW-12 was disestablished and Carrier Airborne Early Warning Wing Twelve (CAEWW-12) was formed to command all Atlantic Fleet AEW efforts and all E-2A detachments were established as independent squadrons. As a result of the reorganization, CAEWW-12, Detachment 59 was commissioned VAW-123 on 1 April 1967, at NAS Norfolk, Virginia. 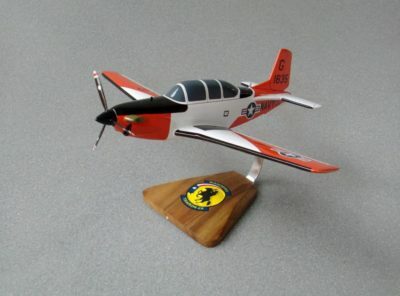 The commissioning date of April 1, 1967 makes VAW-123 one of the oldest VAW Squadron in the United States Navy. In June 1967 VAW-123 set sail aboard USS Forrestal for Vietnam, thus becoming the first East Coast VAW squadron to go to war. On July 29, 1967 while serving in the Gulf of Tonkin, USS Forrestal suffered an onboard fire resulting in the death of 134 crew members, 161 injured, 21 aircraft damaged or destroyed and millions of dollars in damage to the ship. 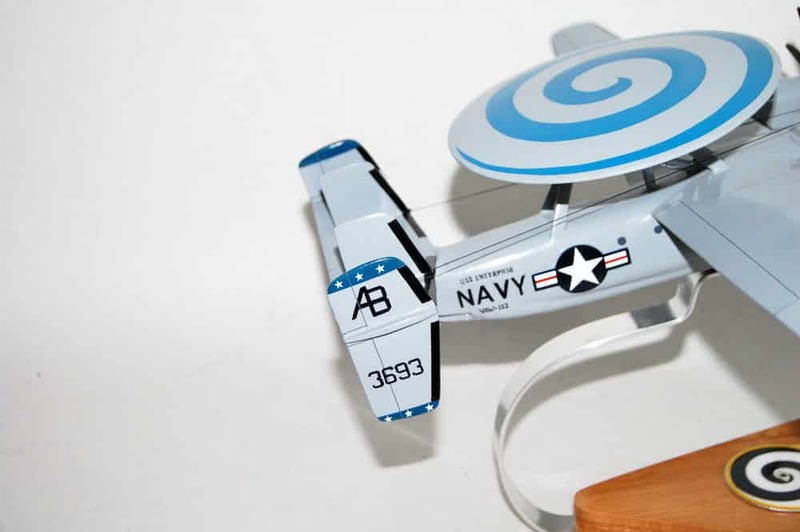 USS Forrestal returned to Norfolk with VAW-123 and the rest of the ship’s crew and Airwing. 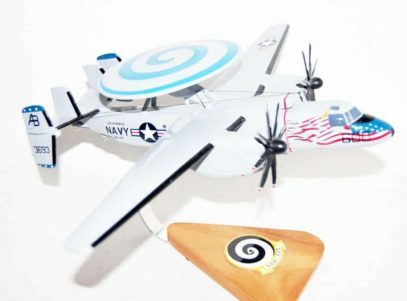 VAW-123 had no loss of any personnel or have any personnel injured in the fire but some of the squadrons E-2A aircraft had very minor damage from the fire and explosions aboard the ship. 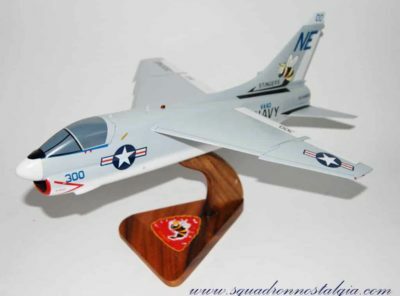 In October 1980, the squadron transferred to CVW-11 aboard USS America. 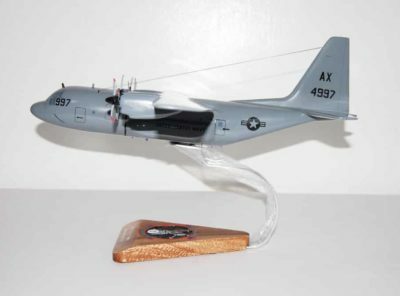 Following a 1981 Indian Ocean deployment, VAW-123 transferred to CVW-1 on 12 November 1981. Since that time, the squadron made several extended Indian Ocean, Mediterranean Sea, and North Atlantic deployments as part of CVW-1/CVA-66, until the decommissioning of USS America in 1997. 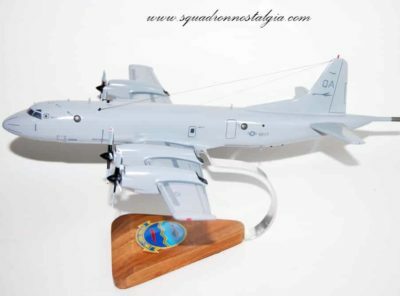 The squadron participated in the 1986 Gulf of Sidra operations off the coast of Libya, and were directly involved in the first combat use of the AGM-88 HARM and Harpoon weapon systems. Throughout the years, VAW-123 has received eleven Battle “E’s” and nine “Safety S’s,” the eleventh Battle “E” being awarded for 1999. 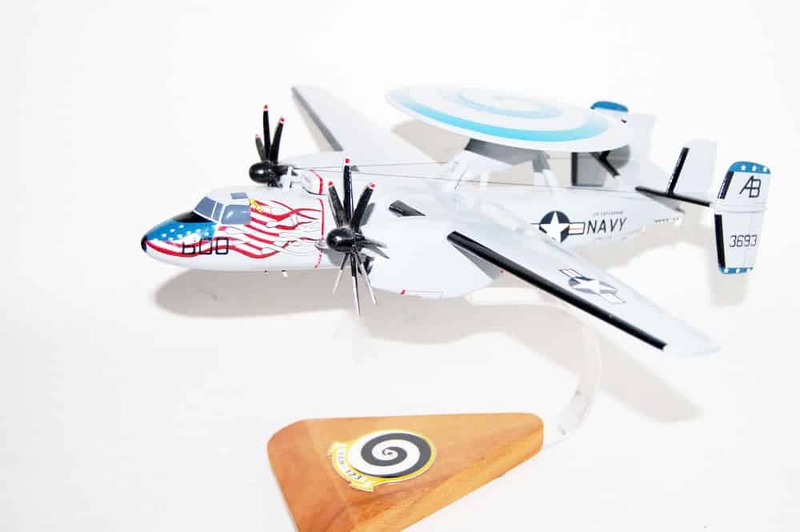 Highlights of the command’s history include the successful employment of the E-2C in 1973 and the first operational deployment of the E-2C ARPS (Advanced Radar Processing System) in 1978. 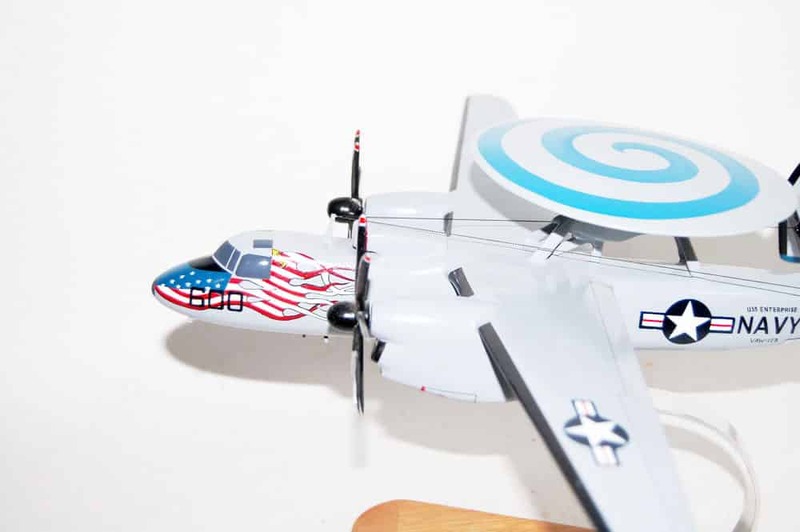 In March 1996, they became the first E-2 squadron on the East Coast to transition to the E-2C Group II aircraft, with its significantly upgraded avionics and engines. 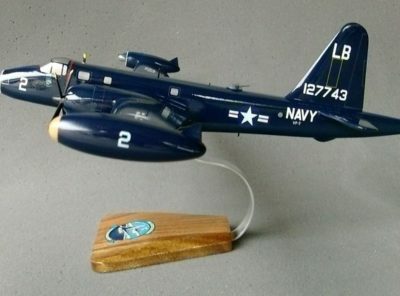 In November 1998, they became the first operational squadron on the East Coast to accept delivery of the Navigation Upgrade E-2C Group II’s. VAW-123 supported Operation Desert Shield/Desert Storm and were the only E-2 squadron to operate in both the Red Sea and Persian Gulf. 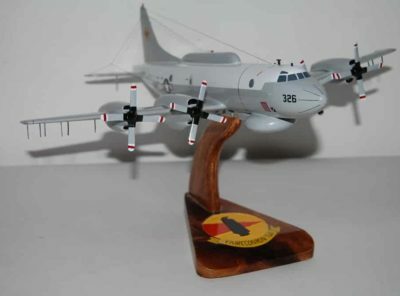 The squadron also flew in support of Operations Deny Flight and Deliberate Force over Bosnia-Herzegovina and Operation Southern Watch over Iraq. The squadron, along with the rest of Carrier Air Wing One (CVW-1), attached to USS George Washington for one deployment cycle, returning home on 2 April 1998. On 18 May 1998, Carrier Air Wing One transferred from USS George Washington to USS John F. Kennedy. During July and August 1998, VAW-123 detached to Naval Station Roosevelt Roads, in support of the United States’ ongoing efforts to stem the flow of narcotics through the Caribbean. 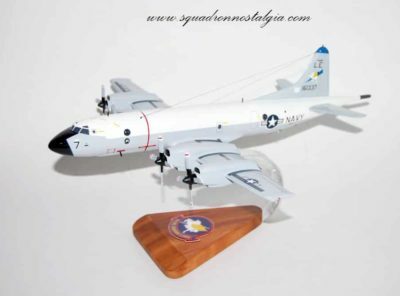 In November and December 1998, the squadron detached to the newly commissioned USS Harry S Truman in support of her shakedown cruise and Orange Air operations against USS Theodore Roosevelt Battle Group. 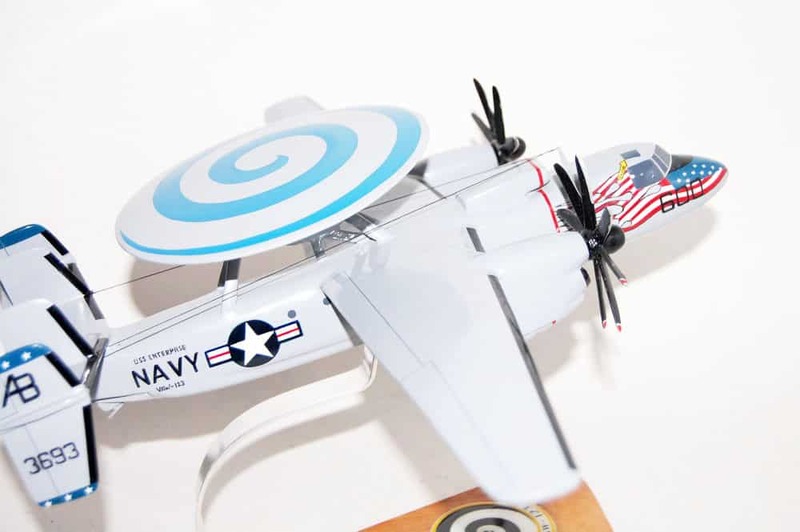 Deploying in August 2003 with USS Enterprise, VAW-123 became the first carrier-based Navy squadron to operate an expeditionary detachment in support of special warfare units. Under combat conditions with hostile fire in Northern Afghanistan, the squadron provided airborne command control to coalition aircraft and time sensitive targeting coordination to special operations forces for Operation Mountain Resolve. 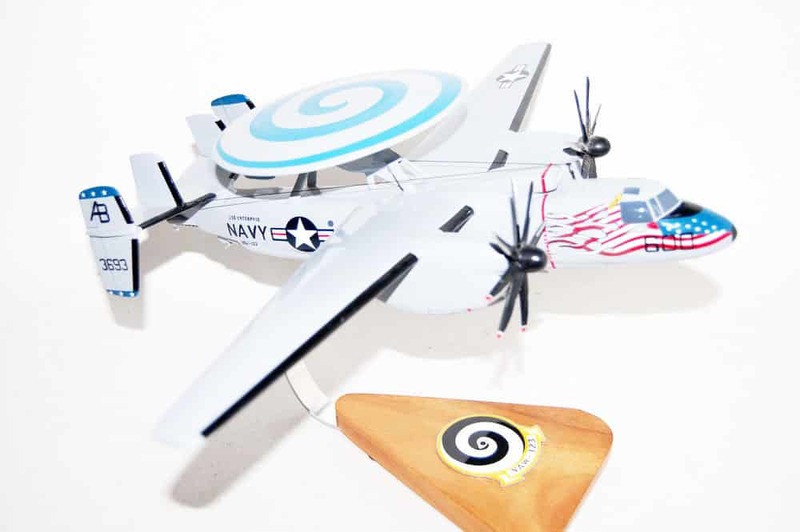 In that same deployment VAW-123 supported conventional units as well as special operations forces deployed to Iraq in support of Operation Enduring Freedom. In 2011, the squadron deployed with Carrier Air Wing One on a six-month deployment in support of Operation Enduring Freedom and New Dawn. After an eight-month turnaround, the squadron deployed once again in March 2012 for eight months with Carrier Air Wing ONE on board USS Enterprise in support of Operation Enduring Freedom, flying 562 sorties and 1,935 mishap-free flight hours. Throughout 2012, the squadron participated in a variety of high profile exercises with US Air Force, British Air Force, and Air National Guard. 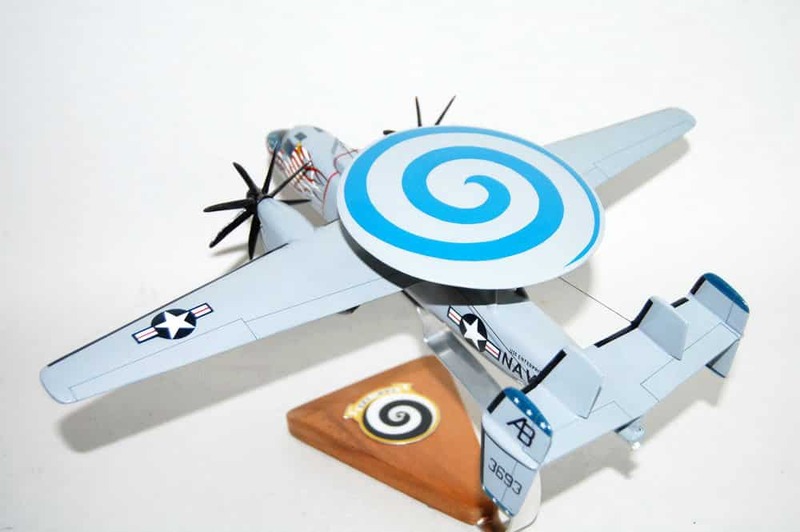 In 2013 VAW-123 received the Airborne Command Control and Logistics Wing “Top Hook” Award for having the best aircraft carrier landing grades of all East Coast E-2 squadrons. The squadron was deployed aboard USS Enterprise prior to the decommissioning of the ship in 2013 and then transferred to Carrier Air Wing 3, which is assigned to USS Dwight D. Eisenhower.